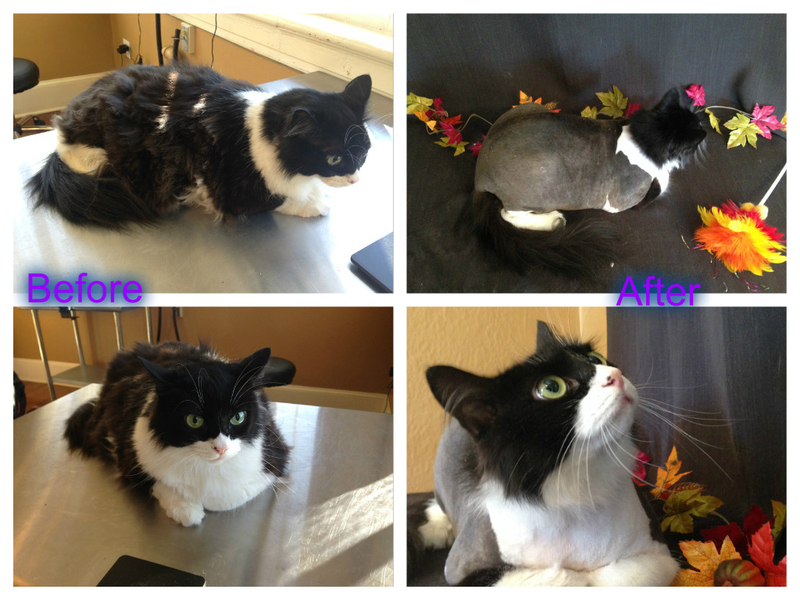 CCAR was approached by Debra of Whisker Tales Cat Grooming who wanted to volunteer her time to groom some CCAR cats. I sent her Ralph and Susan. Ralph was badly matted and I had been “hacking” away at his mats with my not so great clippers. Debra did a wonderful job and he is now mat free and feeling much better. Susan had her usual lion cut as her long Persian fur is almost impossible to keep in good shape. 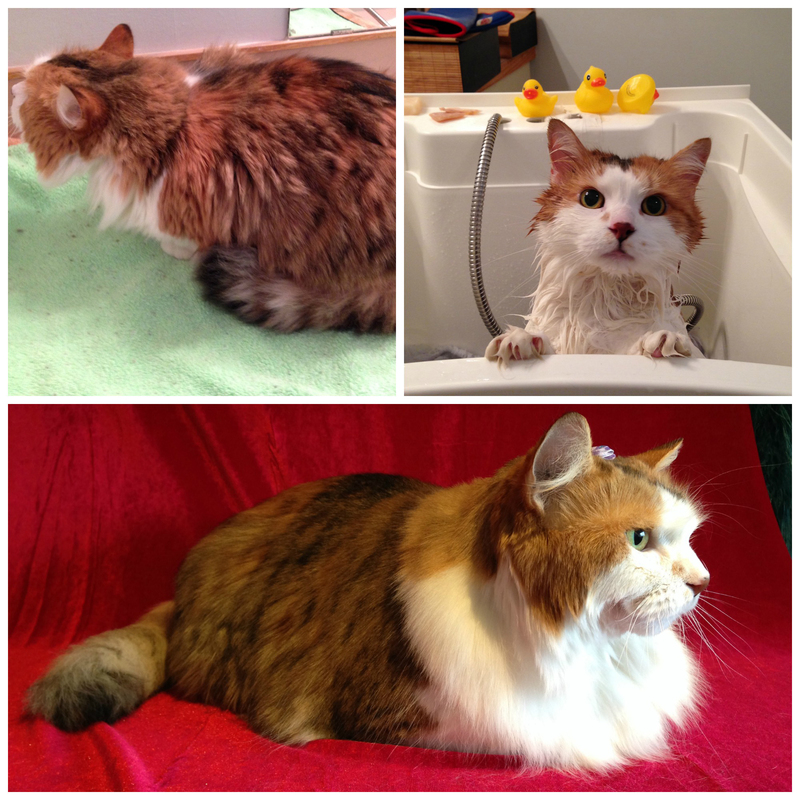 I am pretty impressed about how great our cats look; they weren’t overly stressed either. Debra is willing to offer new adopters a discount on a first groom as well. We are working on setting that up, particularly for long haired cats. It is great to find someone who can do this, I was really struggling with Ralph especially as he had mats everywhere and some of them were really difficult to get at (for me anyway); must have been quite uncomfortable for him. Thanks Debra and we have more to send you!